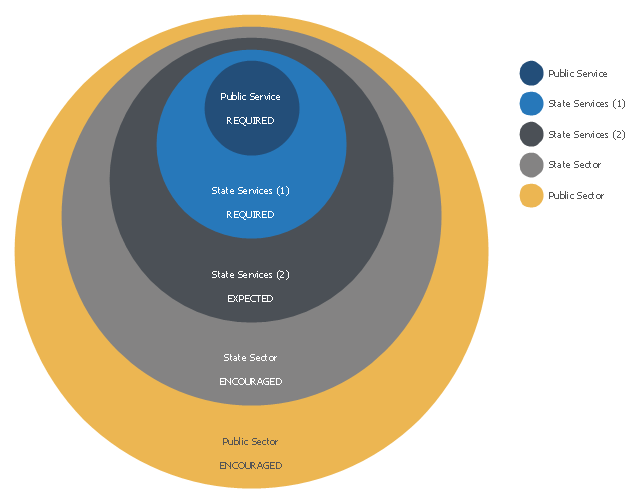 This onion diagram example was designed on the base of figure in the article "Public Sector Agencies" on the website "New Zealand Government Procurement"
"Public sector organisations in New Zealand include the State sector plus the organisations of local government. "Treasury Enterprise Architecture Framework (TEAF) was an Enterprise architecture framework for treasury, based on the Zachman Framework. 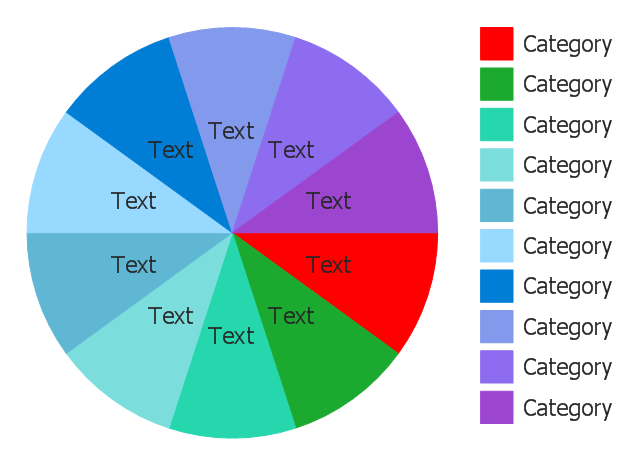 It was developed by the US Department of the Treasury and published in July 2000. 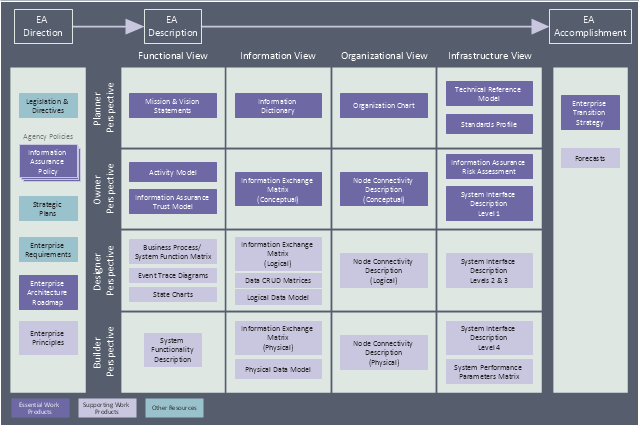 May 2012 this framework has been subsumed by evolving Federal Enterprise Architecture Policy as documented in "The Common Approach to Federal Enterprise Architecture".